The fashion industry has grown in leaps and bounds over the past few decades. 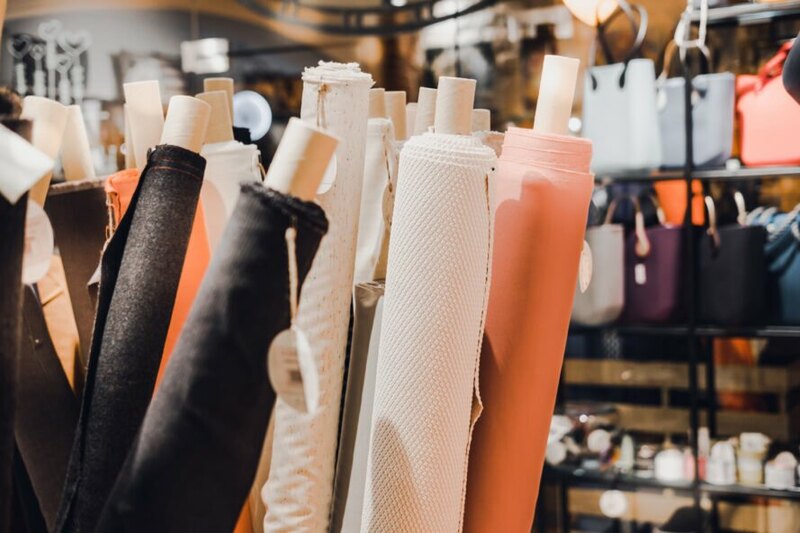 Having greater access to the latest trends in fashion is great, but the industry as a whole could do a lot better lessening its environmental impact on the world. Some of the biggest issues with the fashion industry are microplastics used in production, child labor violations and new disposable fashion trends— which put more waste into landfills around the world. If you are curious about how the fashion industry is affecting the environment, here’s an inside look at the industry’s biggest hidden secrets. Mass-producing clothing items for the fashion industry has massive implications on the environment. The industry as a whole contributes greatly to water waste and has a large carbon footprint – and that is only considering production. 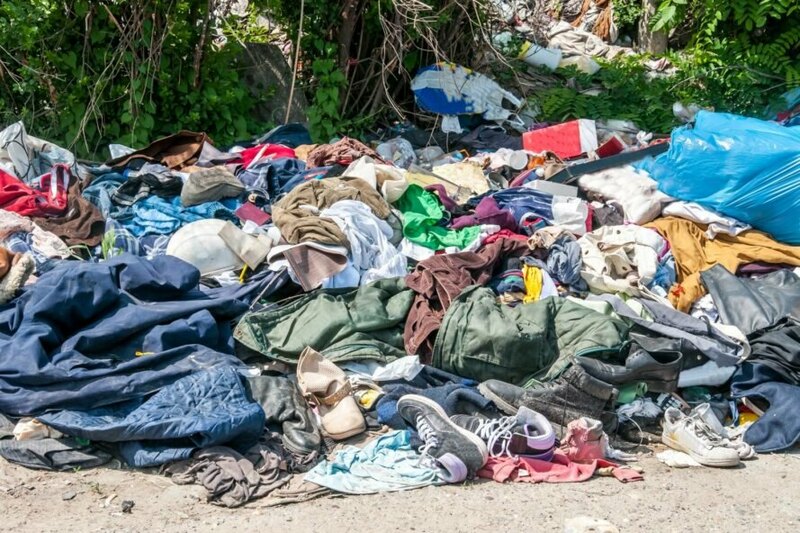 Discarded items of clothing end up in landfills around the world, further polluting waterways and oceans. When it comes to clothing production, it takes thousands of liters of water to produce a single cotton shirt. Farms that grow cotton also use a quarter of the world’s insecticides. Around a trillion gallons of water are used to die fabrics, which further contributes to water waste. Aside from environmental concerns, the fashion industry also violates child labor laws in certain locations around the world. Areas most impacted by child labor violations include Bangladesh, Argentina, China, India, Brazil, Turkey, Philippines, Vietnam and Indonesia. In Bangladesh, for example, child workers – most of whom are women – only take home around $96 every month. The country’s government, however, says that its citizens need at least $336 a month to meet basic living requirements. Given how the country has little regulations on labor and environmental practices, the situation is unlikely to change in the near future. One of the biggest issues with the fashion industry is the use of plastics in garments. Synthetic materials such as nylon, polyester and acrylic are used in over 60 percent of clothing. Plastics are used in fashion because they are long-lasting, budget-friendly, pliable and light. The problem with incorporating synthetics in the production of clothing is that they leach plastic microfibers into the environment. These microfibers eventually make their way to the ocean, where marine organisms ingest them. Once eaten, the plastics can lead to digestive blockages, growth issues, problems in the endocrine system and even starvation. “One of the problems is plastic ingestion at all levels of the food chain, which may pass plastic to larger animals and humans. The question is ‘is it acceptable to us to end up eating plastic?’” Heidi Savelli, an expert with the UN Environment, explained. Fashion sales have skyrocketed over the past few decades. The industry has seen a growth of around 60 percent since 2000, which is partly because clothing does not last as long as it used to. On average, people retain a piece of clothing for about half the amount of time as they did in the late ‘90s. This trend of discarding and buying clothes has been profitable for the fashion industry, but it has led to disastrous effects on the environment. With production steadily increasing, more and more water is being used in cotton farming while excess materials are overcrowding landfills. With the fashion industry causing a major concern for the environment, there are a few things it can do to become more eco-friendly. For starters, companies can make changes to the manufacturing process, which will reduce the amount of plastic that ends of polluting the environment. The primary issues in clothing are the density of the material and the length of fibers. If these two problems are addressed, then there will be a lesser chance of plastic microfibers shedding in the wash. Companies can also incorporate better finishing techniques when making clothing, which can also reduce microfiber issues. There also needs to be an improvement in the way microfibers are captured, both in efficiency and scale. There are capturing devices on the market, but they are not geared towards large-scale operations. There are a number of different things you can do to lessen the fashion industry’s impact on the environment. For starters, you can repair clothing items instead of replacing them whenever possible. When it comes to laundry, washing less is the best way to reduce microfibre shedding. You should also look into investing in a front load machine, as they are better at handling plastic microfibres. If you want to go the extra mile, there are special bags that catch plastic debris in the wash and reduce these particles by over 80 percent. At the end of the day, doing your part to help curb disposable fashion will only go so far, and unless the industry makes some major changes, these environmental concerns will continue to grow.